About: I am from the east coast of America and am 25 years old. Picked up the game as a child and made my competitive TCG debut when I was 15. A year after my TCG retirement, I picked up Duel Links to play casually on the side. After playing in the GameA tournament, I learned more about the tournament scene and joined various servers. As I entered more tournaments and events, I ultimately found myself sticking around for the amazing people and the initiative leaders in this community have to give back to the playerbase. 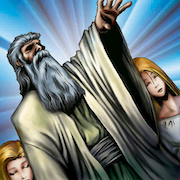 My profile pictures are Solemn cards because Solemn Judgment is my favorite card of all time.